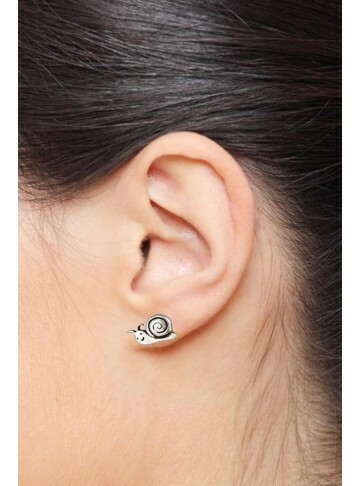 These cute little handmade silver studs shaped in a rabbit are perfect to gift your daughter on her birthday. She will cherish it forever! 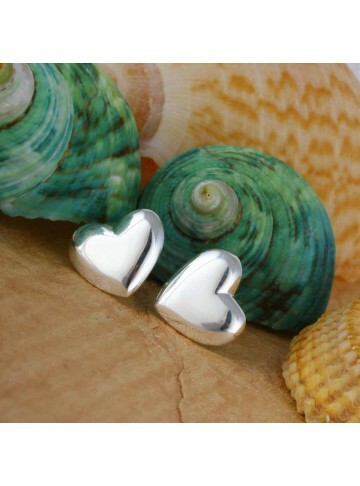 These heart shaped studs are adorable because they can be plugged onto your ears so easily and yet give you a nice love like feeling. Gift it to her this special day and she will love you more! 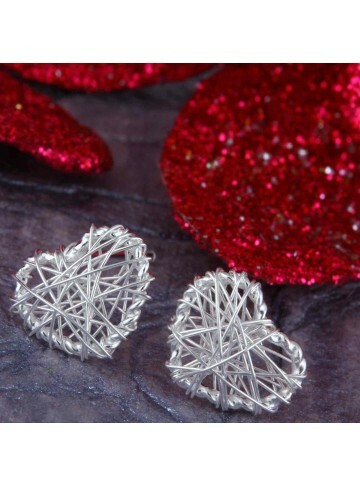 A different and unique pair of heart shaped studs with wired work. Truly a masterpiece that will sweep her off her feet. The perfect gift for the one you love. 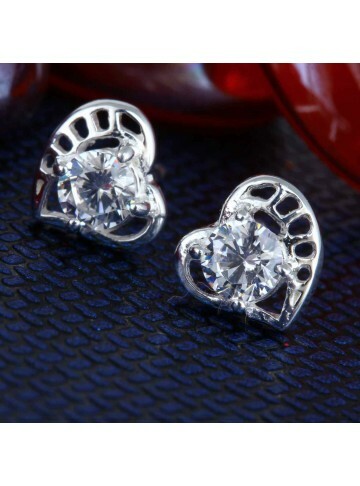 The most breathtaking studs you have seen till date, these heart shaped studs with a huge zircon in the center is sure to sweep her off her feet this valentines day. 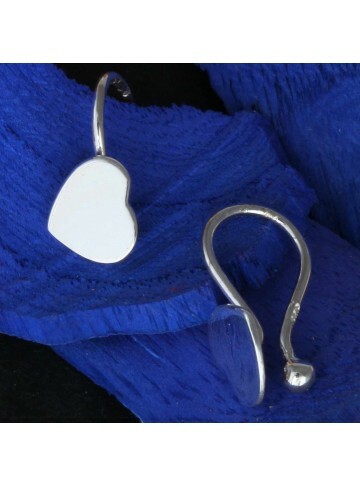 A nice pair of sleek mirror like heart shaped studs, handmade beautifully in just the perfect size. Gift it to your loved one this valentines day and she will be thrilled. The perfect heart studs to gift your loved one this valentines day. Timeless, cute and the just the perfect size. If you're looking for something simple and evergreen, check out these gold plated silver zircon studs. 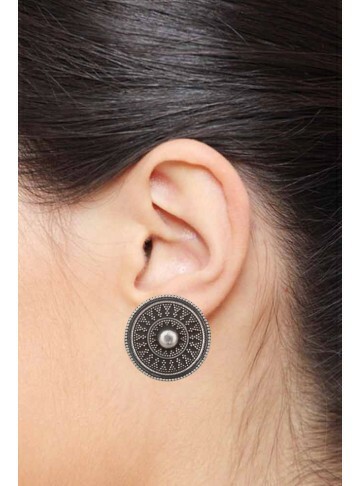 They're perfect for everyday wear and you could match it with both your Indian and western outfits. 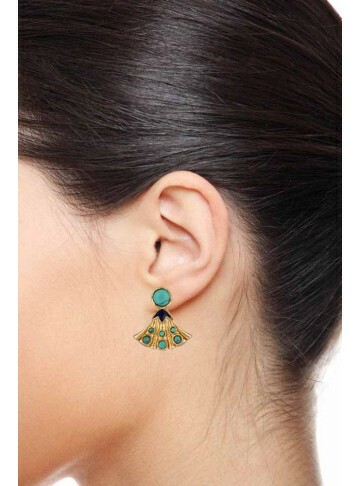 Skyblue enamel disc stud with meenakari work in a contemporary style. 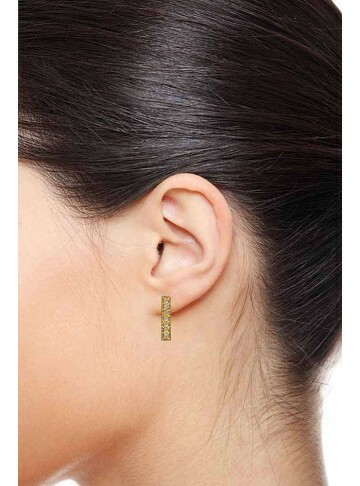 Handmade in 925 Silver and gold plated, these studs are truly one of a kind and timeless. A nice pair of dark green enamel stud earrings in silver and gold plated. Perfect to match with your floral dresses! Gold plated studs handmade in sterling silver with Lapis and Turquoise stones for a nice cute look. Perfect to match with one of our pendants from the Egyptian collection. Pierced earrings made its debut in the Middle East as early as 3000 B.C. and Clip-on earrings were invented in the 1920s. It was during the 16th century earrings grew more popular in the western world. When earrings were first introduced, they were worn to provide strangers with a quick idea of the wearer’s religious, political or tribal identity. Earrings were also signs of wealth and prosperity, an indicator of social status in the community. Earrings were worn as a matter of choice and pride by those who were in power; and those who were enslaved wore earrings as a label of inferiority and shame. The crescent-shaped gold hoops worn by Sumerian women are the earliest earrings for which there is archaeological evidence. Stud earrings are an ageless piece of aestheticism that never went out of style. Simple or detailed, a pair of stud earrings complements your appearance that no stroke of mascara or blush can do. Stud earrings for women come in different trends and themes to piece together a whole outfit. Stepping out in a perfect pair of silver stud earring can have a deep-rooted effect on a woman's features, style, and confidence. Buy your favorite style among the stud earring collection of MirrorWhite at the best price ever. The stud earrings at MirrorWhite are here to grace your ears. Sterling silver stud earrings designed with stones and embellishments are taking over the wardrobes of women who like to play it subtle. The good news is that our jewellery pattern come in both sterling silver and gold plated silver and we have stunning pieces for women, and kids. Our skillfully crafted stud earrings are available in 925 pure silver. Some of these stylish pieces are studded with precious gemstones such as ruby, pearl, emerald, and much more. With an impressive display of stud earrings of a variety of themes and motifs, MirrorWhite is the right place to buy stud earrings online.